An odourless and solvent free hybrid based sealing material suitable for use in all types of hygienic environments. 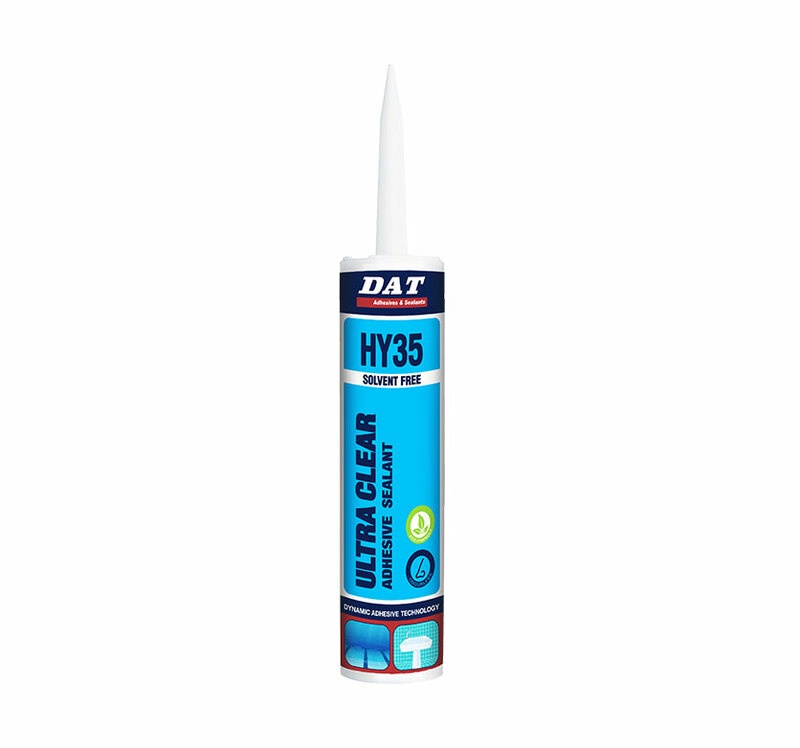 DAT Ultra Clear HY35 is a one component, odourless and solvent free hybrid based sealing material suitable for use in all types of hygienic environments. Due to its specialized UV-resistant, solvent and isocyanate free formulation, it is environmental friendly and suitable for use on all types of surfaces, including in water and underwater applications. It is easy to apply with a caulking gun and once dried completely it becomes flexible. Applicable to all types of surfaces, including moist and wet surfaces. 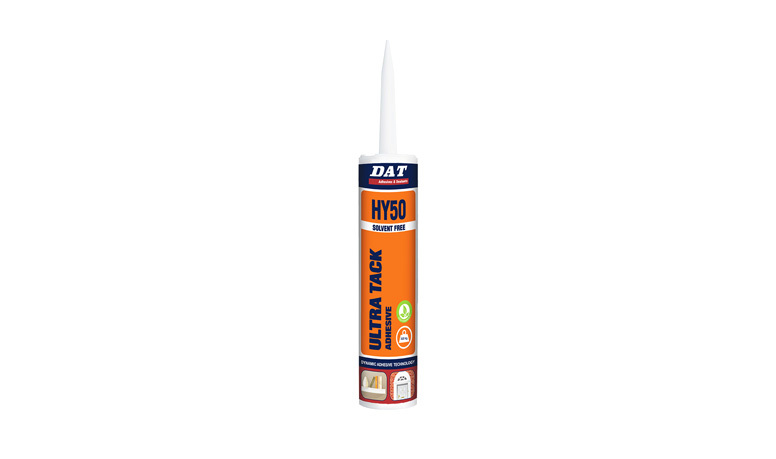 Ideal for filling and bonding, connection joints of wood and metal structures, kitchen and bathroom sealing applications, cosmetic skinning on boats, buses and trailers, building facades, waterproofing joints without primers in concrete, glass, marble, granite and brick. 5. Apply adhesive sealant with a steady pressure. 7. The adhesive sealant will be fully cured within 24 hours.